The workshop is defend by many qualities; a space and a group or people, practical but also theoretical, intended for teaching but also for collaboration. Its flexibility and the openness of its structure has made it one of the most popular systems of working together and the second most popular word to describe artistic practice (after the word project). In the asfaBBQ we have planned three very different but also very interesting workshops, reflecting and building upon the flexibility of this format. 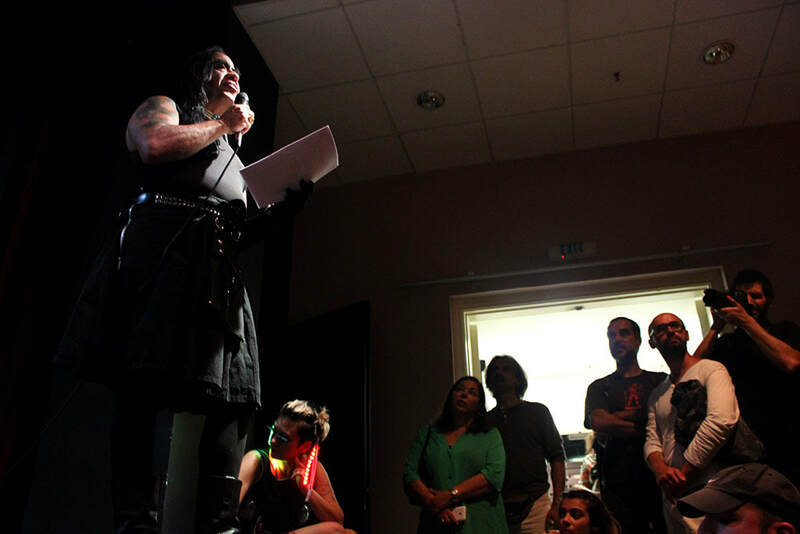 Theater of ASFA, 256 Peiraios st.
For the past 20 years, members of La Pocha Nostra have conducted cross-cultural/cross-disciplinary/cross-generational workshops involving performance artist, activist, actors, dancers, students and members from diverse ethnic communities. LPN International Summer school is a 12-day intensive workshop on performance art with a focus on the human body as a site for creation, reinvention, memory and activism. The summer performance workshop is La Pocha’s most important pedagogic endeavor of the year. The prestigious ‘Pocha workshop’ is an amazing artistic and anthropological experiment in which carefully selected artists from several countries and every imaginable artistic, ethnic and sub-cultural background begin to negotiate common ground. Performance becomes the connective tissue and lingua franca for our temporary community of rebel artists. 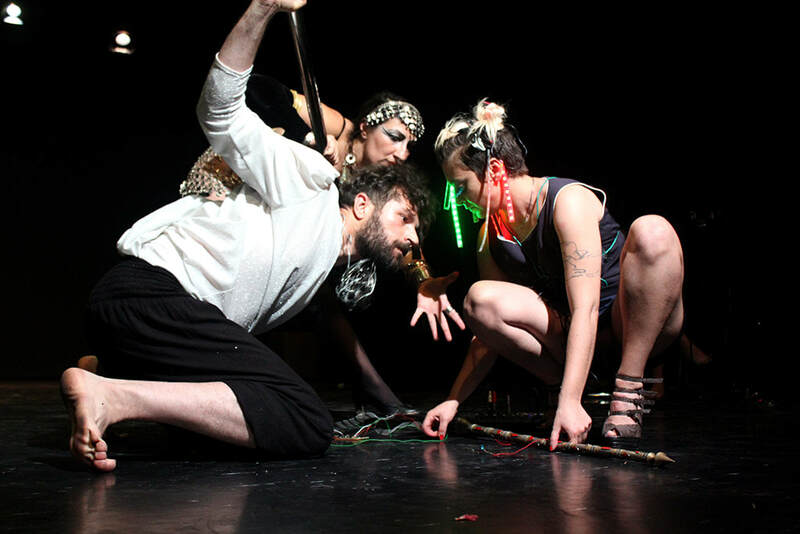 GómezPeña and the members of La Pocha Nostra will host their legendary summer performance workshop in the city of Athens from June 1st – 14th, 2015. The workshop will be open to performance artists, experimental actors, dancers, theorists, activists and students from all over the world. The Pocha/Greek committee will be selecting 24 participants from throughout Greece, Europe, the Balkans as well as the Americas. The focus will be on new performance art strategies and the human body as a site for creation, reinvention, memory and activism. We will also place particular emphasis in the relationship between the human body and architecture by intervening different indoor and outdoor spaces. At the end of the workshop we will have an epic jam session open to the local arts community. Rae Uddin, Caroline Garcia, Laura Corcuera, Ainoa Mela Lopez, Steven Conway, Elle Mehrmand, Ally Walsh, Ria Hartley, Denise Benavides, Andrea Pocha Tucson, Maria Isabel Ramirez, Marina Barsy, Iivi Meltaus, Jenny Zagas Franzoni, Eva Koliopantou, Eirini Danou, Yorgos Bakalos, Maria F Dolores, Stefanos Chandelis, Litsa Kiousi, Lia Giannakou, Poulheria Papahristou, Antigoni Tsagkaropoulou, Kostas Voulgaris, Eleni Zervou, Markela Kontaratou, Konstantinos Davris, Angeliki Chaido Tsoli. ​why are artists poor and what can they do about it? 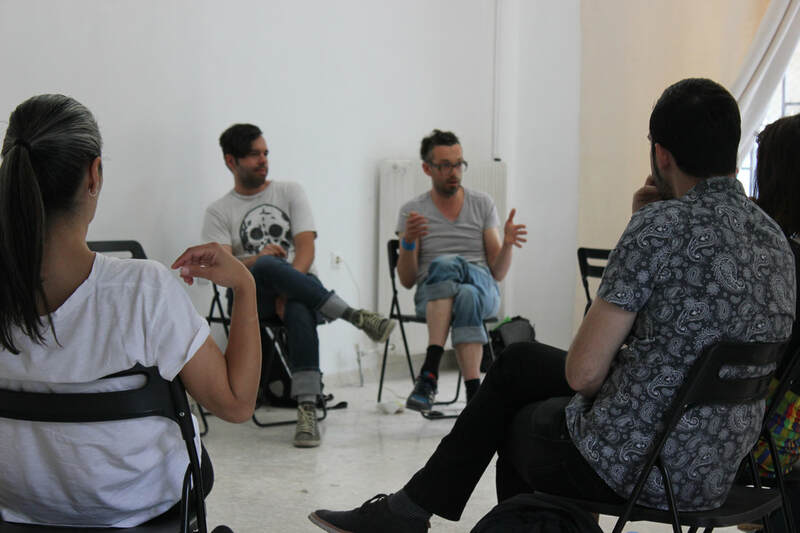 The workshop aims to introduce basic economic concepts as well as possible strategies in the contemporary art market. 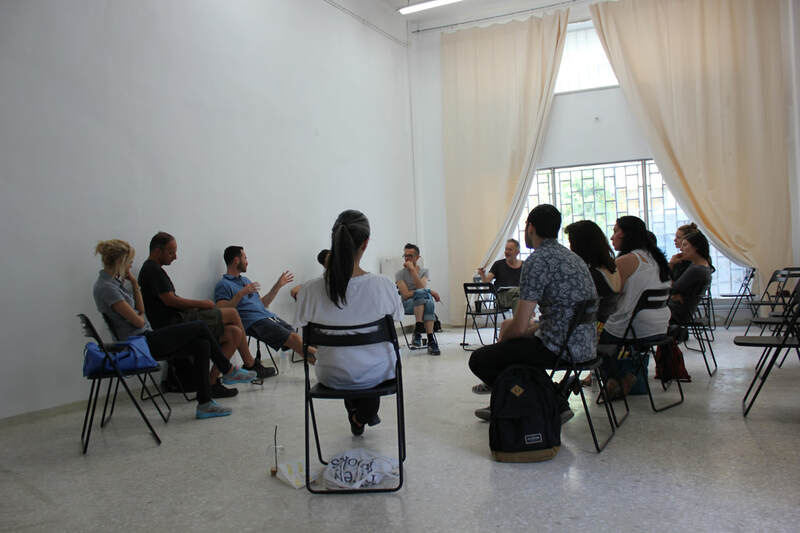 The workshop is intended to help demystify economic discourse and provide theoretical tools for making sense of the position of the artist in the contemporary socio-economic context. We will address questions on the relations between market price and artistic value, the identity of the artist as a worker and as an entrepreneur, funding, cultural policies and the role of art institutions, as well as the possibility of re-appropriation of economic concepts, terminologies and icons for an expanded artistic practice. 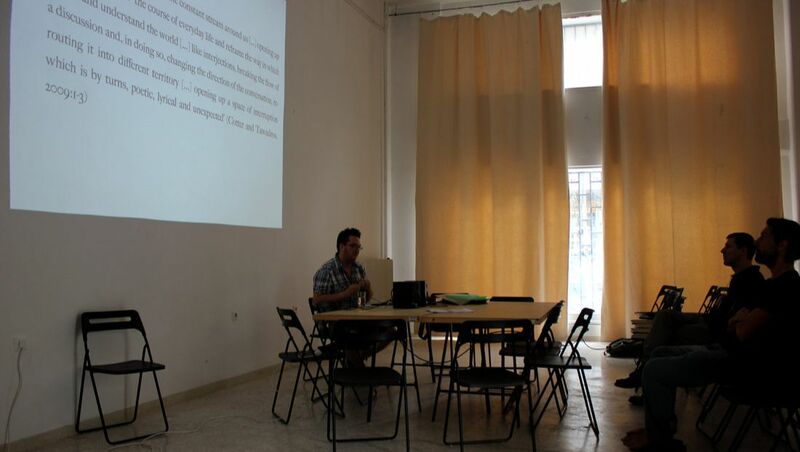 The workshop is combined with a series of open lectures by Angela Dimitrakaki, Miltos Gkouzouris and the two organizers. 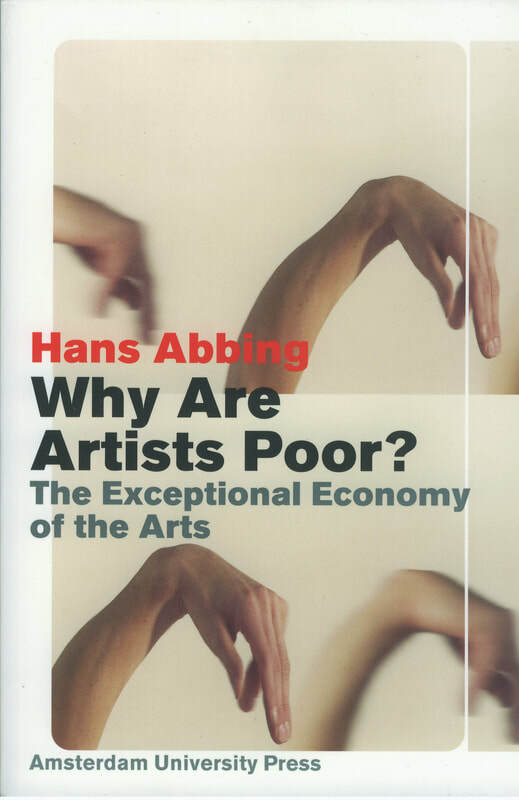 Hans Abbing writes on the economy of the arts and his books include Why are artists poor?, University of Amsterdam Press, 2002 and Value of Art: A Sociological Study of Art and the Arts-Economy, University of Amsterdam Press, 2012. He is Professor Emeritus of Sociology of Art at the Faculty of Social and Behavioral Sciences at the University of Amsterdam, and in the Cultural Studies Department at the Erasmus University in Rotterdam. Many artists, few rewards. The average artist has a low income, is little recognized and has little voice. Most likely after some preliminary enthusiastic years also his work satisfaction is likely to go down. This phenomenon exists already for many decades. The economist has a hard time explaining it. He would expect fewer youngsters to become artist and more artists to leave the profession, with as a consequence that after a while the number of artists would go down, while rewards would become higher. This is not what happens. The sociologist is better equipped to explain the “willingness” of artists to work for low incomes. It is an inclination and not a matter of choice, an inclination which is part of a persistent art ethos, which nowadays works against the majority of artists. Georgios Papadopoulos combines economics and philosophical analysis with an exploratory artistic practice. His research gravitates around money and its socioeconomic functions. Between 2008 and 2009 he was Researcher at the Theory Department of the Jan Van Eyck Academy in Maastricht and in 2012 he received the Vilém Flusser Award for Artistic Research by the transmediale festival and the University of the Arts (UdK) in Berlin. He has published Notes Towards A Critique of Money, 2011 and Grexit, 2012. Art against the Economy. The recent financial crisis only encouraged artists in their attacks against capitalism, offering an obvious subject for artistic interventions and drawing them towards economic discourse. My presentation will try to address two elementary questions; in what capacity can art provide a different, maybe even better, point of critique of the market than say politics or science. And up to what extend the criticality of artists against the economy has helped them to mobilize and improve their own conditions of work. ​Angela Dimitrakaki is a writer and Senior Lecturer in Contemporary Art History and Theory at the University of Edinburgh. Her books include Art and Globalisation (2013, in Greek), Gender, ArtWork and the Global Imperative (2013) and the co-edited volumes ECONOMY: Art, Production and the Subject in the 21st Century (2015) and Politics in a Glass Case: Feminism, Exhibition Cultures and Curatorial Transgressions (2013). She is Corrsponding Editor of the journal hm: research in critical Marxist theory and, since 2015, an Editor of Third Text. THE ARTIST IN SOCIAL REPRODUCTION. Beginning with the findings of the curatorial research programme ECONOMY (Scotland 2013, http://www.economyexhibition.net), this paper will discuss the transition from the aura of the artwork to the aura of participation. This transition corresponds to a transformation of the role of the artist as encountered in the emergence of industrialisation and modern art in the 19th century to the artist’s role as renegotiated in the hegemony of ‘total production’ associated with globalisation at the end of the 20th century. The analysis will prioritise the relationship between art, production and reproduction as essential to understanding the positioning of the artist in a contemporary socio-economic context. Miltiadis Gkouzouris is Cost Engineer and General Director of COSTWISE, a consulting firm located in Athens Greece, which is specialized in costing services (www.costwise.gr). He holds an MBA degree from Nottingham Trent University and has conducted studies on a Bachelor-level, in “Business Administration” and “Communication & Journalism”, both at educational institutions in The Netherlands. The presentation “Costing Art” is going to discuss the question of cost in artistic production, detailing the several aspects of cost and their relation to pricing. The questions of pricing and costing are central in the art market and their understanding is a prerequisite for a successful professional career. The presentation is going to address different aspects of costing, including methods, classifications of cost, depreciation, costing of various material and resources and will conclude with the calculation of cost through some practical examples. Nicolas Galeazzi uses performance as an instrument for research. 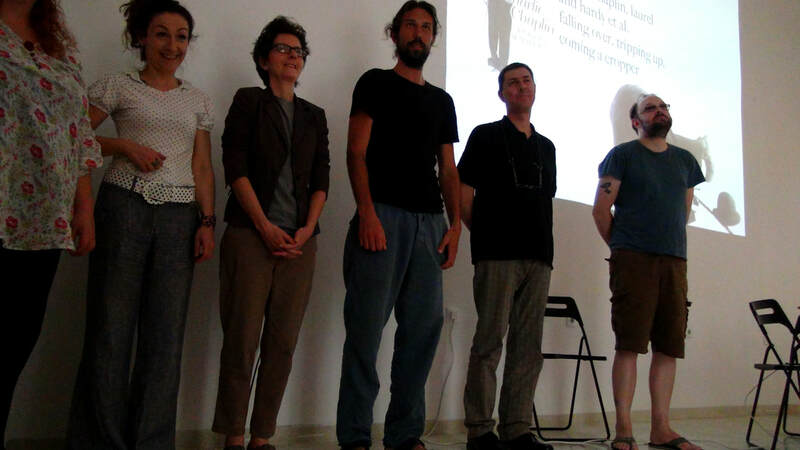 The cross over through media, methodologies, materials and theories – working as actor, teacher, theater director, concept artist, and performance artist – provoked the need to search for a rethinking the economies of artistic practices and to develop new models for collaboration and dissemination of senses. Galeazzi works with Mise-en-Discourse – performative research frameworks where public can experiment with political and social conditions. Today he is focusing on the reorganisation of the self towards the society, on side-effects as an artistic practice, and Bricolage as a spiritual ideology. He is mentor and program coordinator of the post-master artistic research environment [a.pass] advanced performance and scenography studies in Brussels. KunstAllmend / ArtsCommons The KunstAllmend is a collective project experimenting with alternative artistic economies to redefine conditions for artistic production. Reflective of the commons active in the Swiss Alps for centuries, the KunstAllmend transposes this traditional model upon contemporary discussions concerning the management of common resources, authorship and copyright – strategies of ‘sharing’ in opposite to market ‘exchange’. The KA is a proposing an scenographic infrastructure for art production under the conditions of a radical commons economies. These conditions provide a context to discuss the commons rather as a promising problematic than a solution. To participate in this workshop it is important that participants bring a device with a camera/video recording facility and Bluetooth technology because you are going to record your own videos and send them via Bluetooth. In this workshop you are going to engage in exploring intermeshing live cinema, performance and audience participation in public space. Having listened to me talk about my performance art practice, which combines audience participation and making documents/different kinds of recordings, you are going to try out recording your own instructional films and sending them to audiences around Athens via Bluetooth. Audiences will record themselves undertaking your instructions which will be fun, comedic and slapstick and very bodily and they will send these recording back to you and others via Bluetooth. Experience in filmmaking not essential; you will try out various editing techniques using footage filmed on your phone, iPad etc. to generate a set of instructional films and your creativity is only limited by the sophistication of the editing facility your Bluetooth-enabled device has. 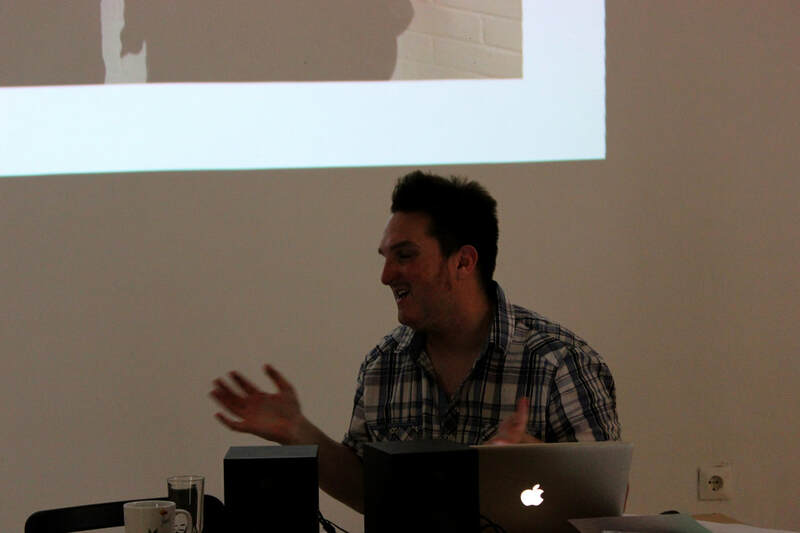 Lee Campbell is an artist, curator and lecturer in BA Fine Art at Loughborough University and MA Advanced Theatre Practice at Royal Central School of Speech and Drama unnamedLondon. His practice is rooted in participative art performance. Campbell has has been making live performance internationally since 2003. He has built a strong international portfolio of research publications encompassing solo performances, artworks (often audience participatory), curatorial projects and self initiated symposia. An example of his curatorial practice is All for Show an internationally touring retrospective of British video art, which tested the acceptable limits of humour and comedy through performative bodily interventions in the white cube art gallery.